Reasons why Trello Users chose the intelligent Kanban Board. 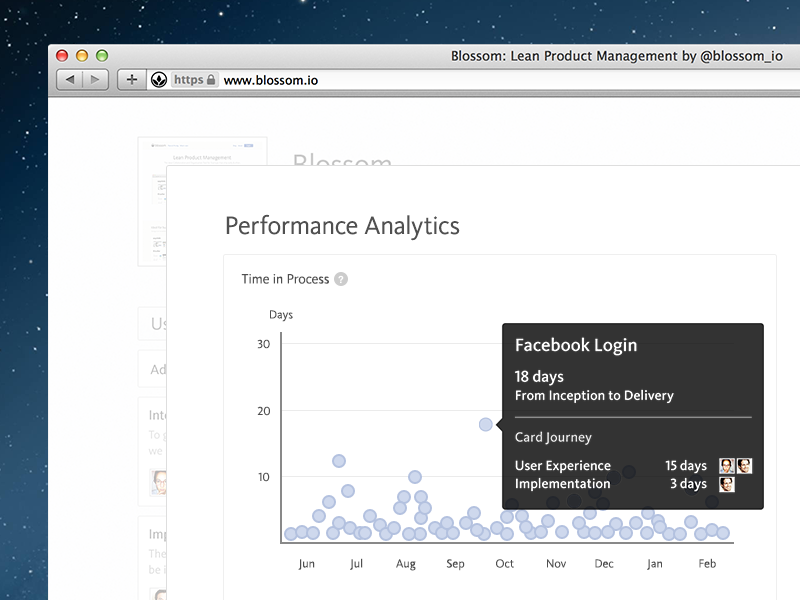 With Blossom we focus on providing a great tool for people who care about their products. We strive to truly understand the needs and challenges of product teams better than any other company in order to provide the best product management solution on the market. We integrate with services like GitHub, HipChat, Flowdock and Slack and add new integrations regularly to make your workflow even smoother. Since Blossom is an integral part of the product creation process we believe it is very important for us to go out of the way and feel as lightweight as possible. The focus is on your craft. If you are a product manager, designer, engineer or marketer you will immediately feel at home. 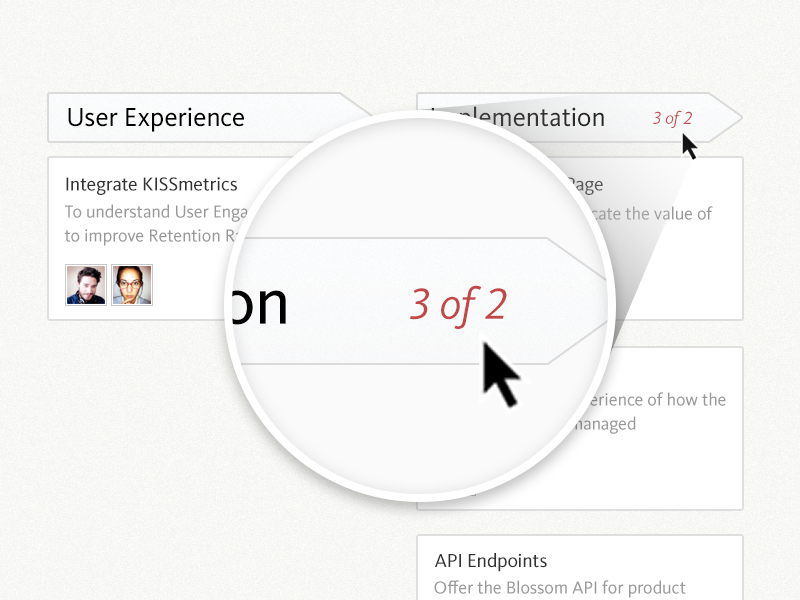 Blossom makes it easy to keep clear overview about what’s important and what to focus on. By just giving a glimpse of a look at your Board you are able to easily identify blockers, bottlenecks and things that slow the delivery to the customer down. 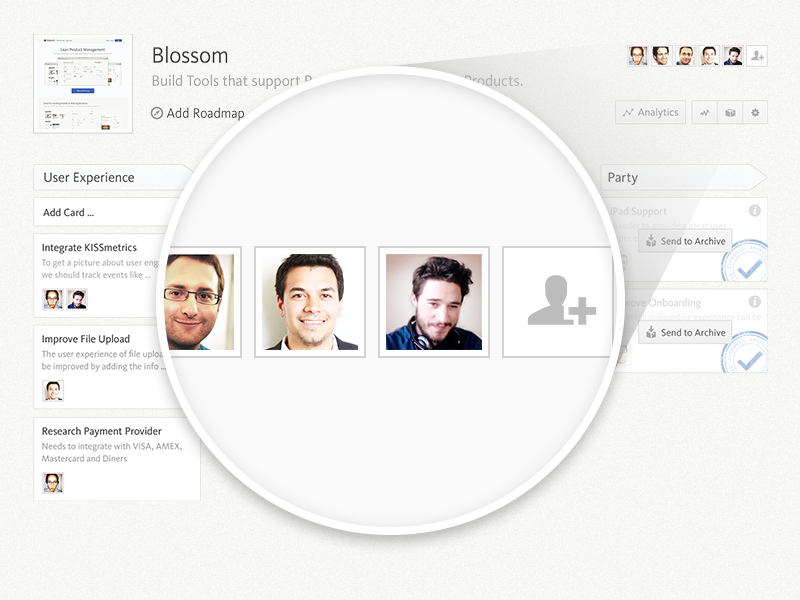 Even in times when you are away from Blossom you’ll never miss if something important happens inside your project. 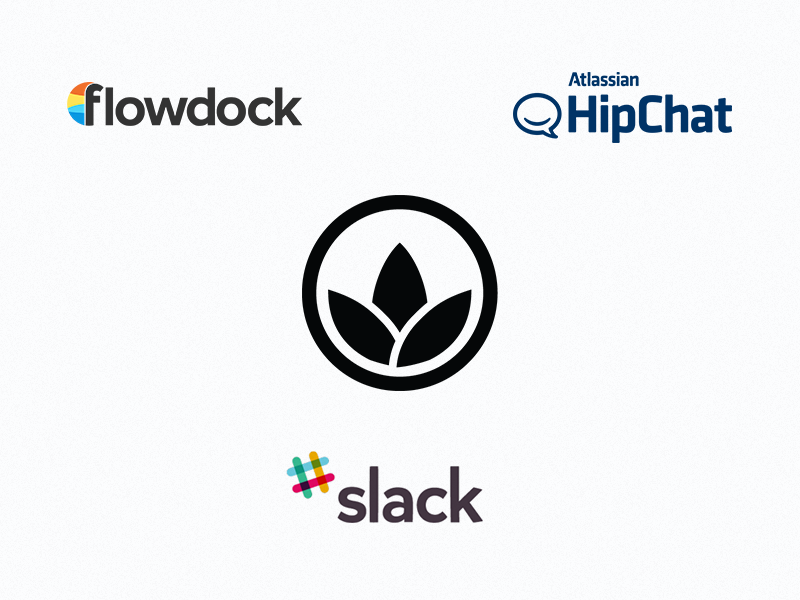 You can choose to receive real-time notifications via email or through our integrations with third party services like GitHub, HipChat, Flowdock or Slack. It’s easy to get overwhelmed with work — not with Blossom. You always keep overview about your work pipeline and keep things flowing at your optimal pace. Setting the optimal amount of work that your team can handle at one time will lead to a smooth & continuous workflow. Reduce the time a card takes to flow from the first to the last stage by adding card limits to stages of the board in which work is being performed. You will automatically experience improvement in quality & efficiency as you can give greater focus to fewer tasks and get more work done in less time. 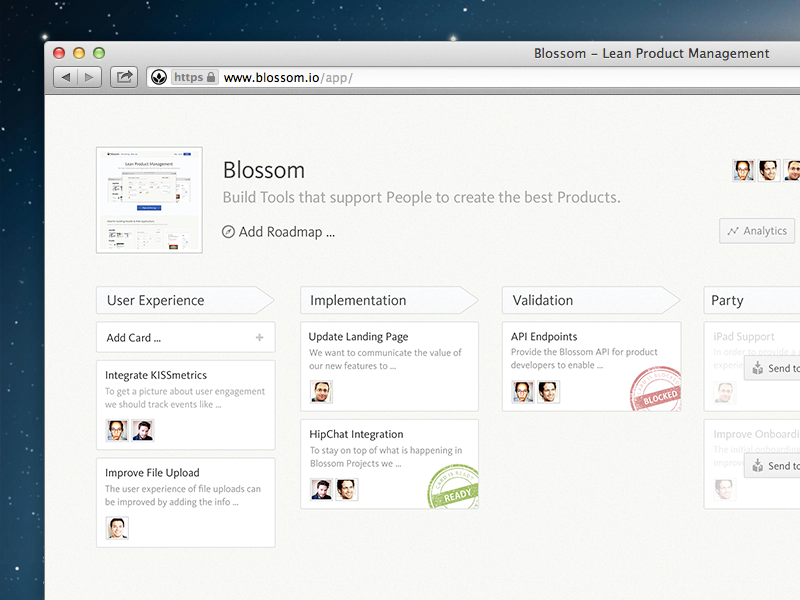 Managing your work with a Blossom Board shows how work is continuously flowing through your development process. Measure and analyze the performance of your flow with our in-depth tools like the Cycle Time of Cards, the Time in Process Chart, the Table of Outlying Cards and the Cumulative Flow Diagram (coming soon). The automatically generated metrics help you to prevent future problems and provide you the information you need to optimize your current flow and maximize efficiency.